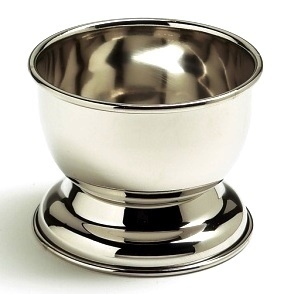 Practical meets handsome in this compact stainless steel shave cup. Mirror finish on the outside, brush finish inside with an anti-tip pedestal base. Col. Conk 2 1/4 oz. shave soap included (scents will vary). Boxed.